Adult performance programs are geared towards all active adults seeking an all-inclusive training experience. Whether your goal is weight loss, weight gain, fitness and full-body workouts, increased flexibility or core strength, or even getting back into shape, our team of performance specialists, nutritionists, and lifestyle coaches will design a program to aid in your progression and allow you to reach your goals. Training includes physical conditioning, mental conditioning, vision training, nutrition, and athletic body management. Charles Gooch joined the IMG family in 2016. Charles is a native of Fresno, California, where he, along with his 5 siblings were raised by his mother, who was a minister, and his father, who was an Army Drill Sergeant. Whether you are just beginning to learn English or want to improve your conversation skills, IMG Academy has a fun and engaging environment that will help you succeed. Instructors will help you improve your English proficiency based on your personal goals. Learn more about English Language Learning by speaking with an Adult Camp Advisor. IMG Academy's accommodations include the highest quality of housing, amenities, and services. With the convenience of campus accommodations, adults will enjoy the ability to remain active while also ensuring that they make the most of their stay. Transportation to and from campus as well as on-campus dining and resort-style features, such as the Wellness Spa, create a unique oasis available directly inside our gates. A perfect option for local performance campers or for families on vacation in the Sarasota and Bradenton area, many on and off-campus housing options are available for guests and families, including the Legacy Hotel, The Lodge, The Villas, Academy Park Villas, Ritz-Carlton, Holiday Inn Express and Suites and more, including beachfront resorts. What's a sample schedule look like for the adult performance camp? Where can adults & families live while they're training on campus? 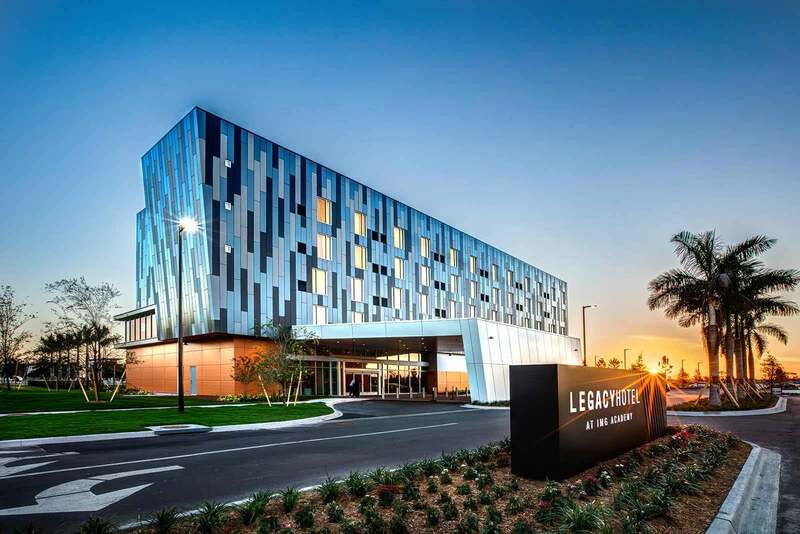 IMG Academy offers plenty of on-campus accommodation options, in addition to the Legacy Hotel, to make your even more enjoyable and convenient. Click here to learn more about accommodations and hotel affiliations. Camps vary depending on how long you stay and what program you choose! 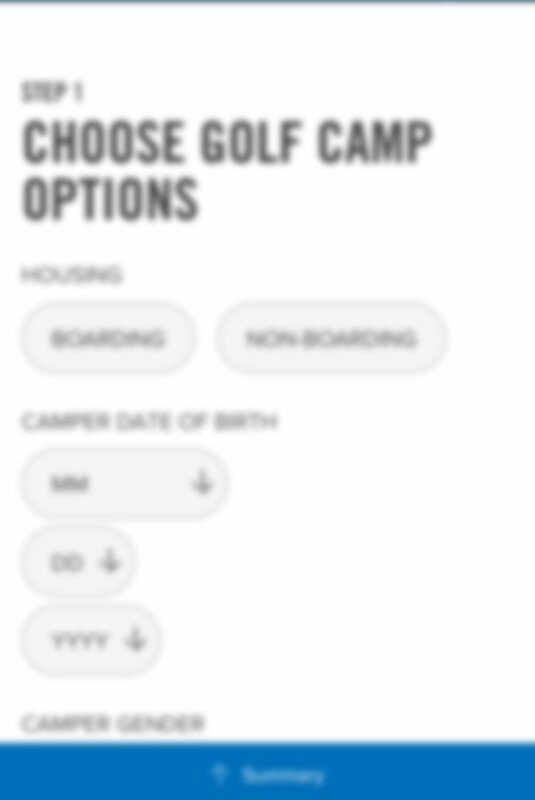 You can also configure your camp with many options to customize your stay at IMG Academy.